A Spanish judge has issued an arrest warrant for ousted Catalan president Carles Puigdemont and four of his former councilors who remain in Belgium, the High Court said in a statement on Friday. National Court judge Carmen Lamela filed the request with the Belgian prosecutor to detain the five and issued separate international search and arrest warrants to alert Europol in case they flee Belgium. 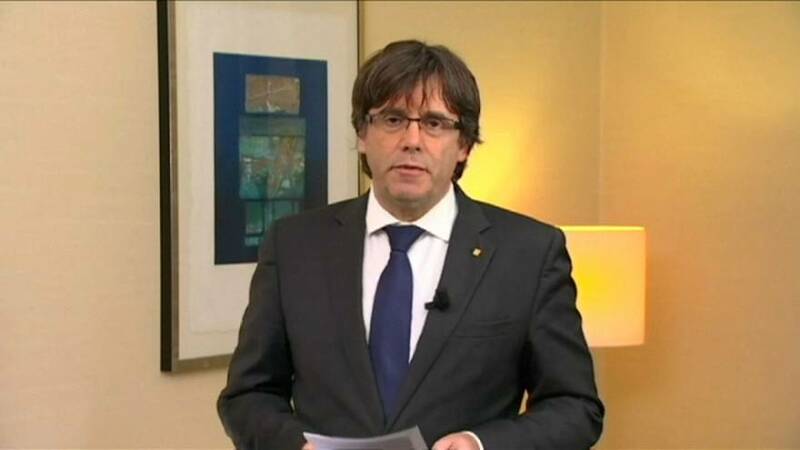 Puigdemont left for Belgium after Catalonia’s regional government was sacked by Prime Minister Mariano Rajoy hours after the Catalan parliament made a unilateral declaration of independence on Friday. According to the judge, the president and his associates face charges of rebellion, sedition, misuse of public funds and breach of trust. Belgian authorities have received Spain’s arrest warrant for Puigdemont and will examine it before handing it over to a judge, federal prosecutor Eric Van der Sypt said on Friday. “We will study it and will give it to an investigative judge maybe tomorrow or the day after tomorrow,” Van der Sypt told Reuters. Puigdemont and his aides flew to Brussels after Spanish authorities removed him and his Cabinet from office Saturday for demanding independence. The Spanish government has also called an early regional election for Dec. 21. A week after independence was declared where are the Catalan leaders now?